INVICTUS ENTERTAINMENT GROUP ANNOUNCES THE ADDITION OF CANADIAN COUNTRY SUPERSTAR GORD BAMFORD TO ROSTER. TORONTO, ON – Invictus Entertainment Group is thrilled to announce the addition of Platinum selling country star Gord Bamford to their booking roster. A 24-time CCMA award winner with 23 Top 10 singles in Canada, Gord maintains a position as one of the most successful musicians in Canadian country music history. 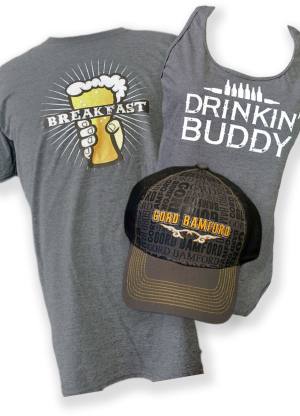 The Gord Bamford Charitable Foundation has generated over $3 million since its inception in 2008 for children’s charities such as the Make-A-Wish Foundation, Ronald McDonald House, Big Brothers & Big Sisters, numerous children’s hospitals across Canada and MUSICOUNTS. Specializing in booking, promoting, and artist representation on an agency and management level, Invictus works directly with some of Canada’s top country music artists, such as Brett Kissel, George Canyon, Aaron Pritchett, Carolyn Dawn Johnson, Emerson Drive, and many others.